My little twin nephews turned two last week! It seems like we were just at their first birthday party... like yesterday! Seriously, where has the time gone?? 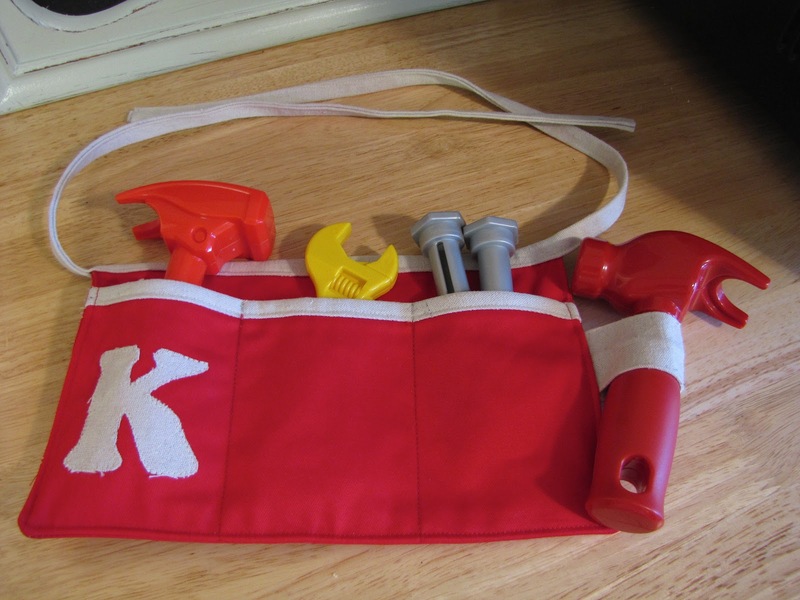 I love to give hand made gifts when I have the extra time to make them so I asked Melissa for ideas and she mentioned tool belts. That sounded easy enough. I followed the fabulous tutorial found here. I'll show you how I made mine just for extra clarification. 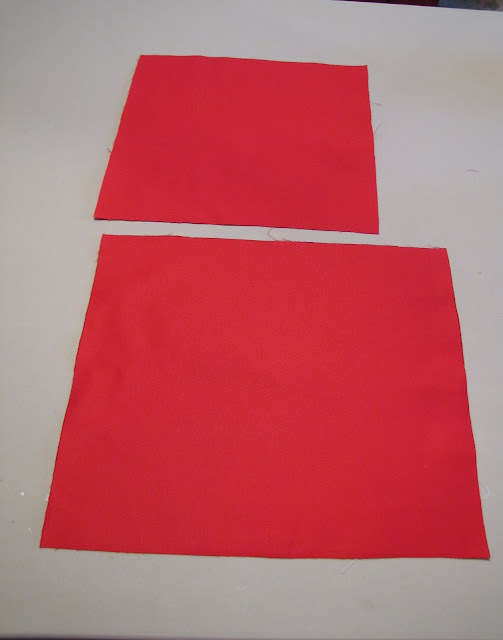 First cut two pieces of fabric. One that is 13"x 11" and one that is 10"x 11". Then fold the 10" x 11" piece in half. 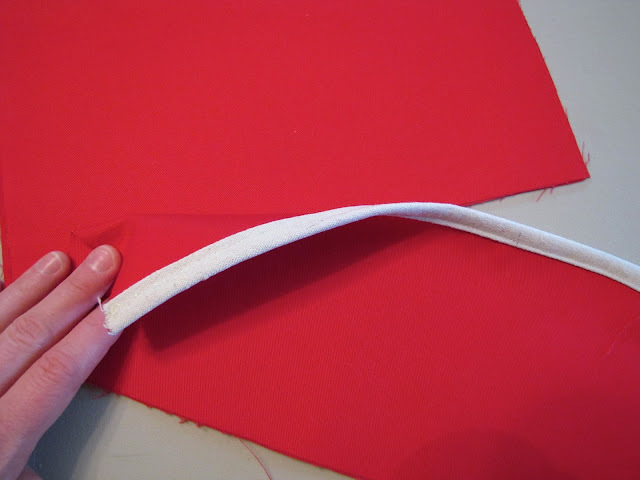 Using a coordinating color canvas cut out a strip that is 1.5" x 11" to create a piece of binding. Fold it in half lengthwise and iron flat. Then fold the raw edges in toward the fold and iron it flat again. 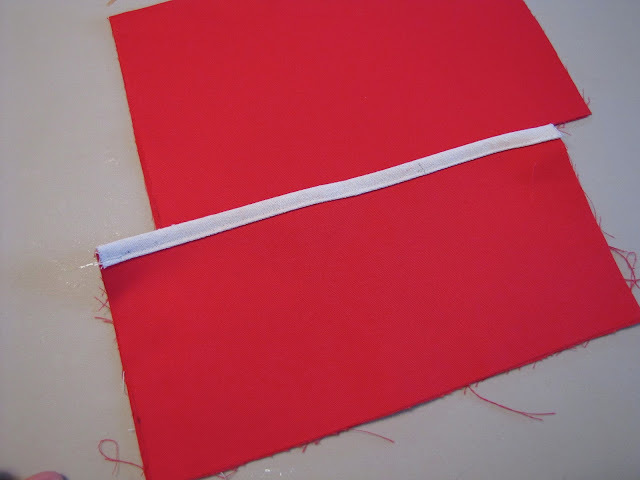 Place this binding along the folded edge of the shorter piece of canvas making sure the binding fold is on both the front and back sides of the red canvas. 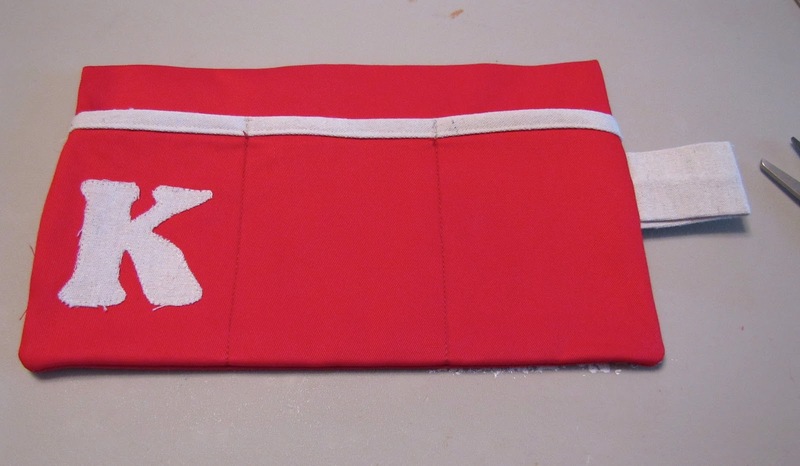 Pin in place and sew close to the edge to secure. Then cut out another strip of the coordinating fabric that is 3" wide by 5" long. 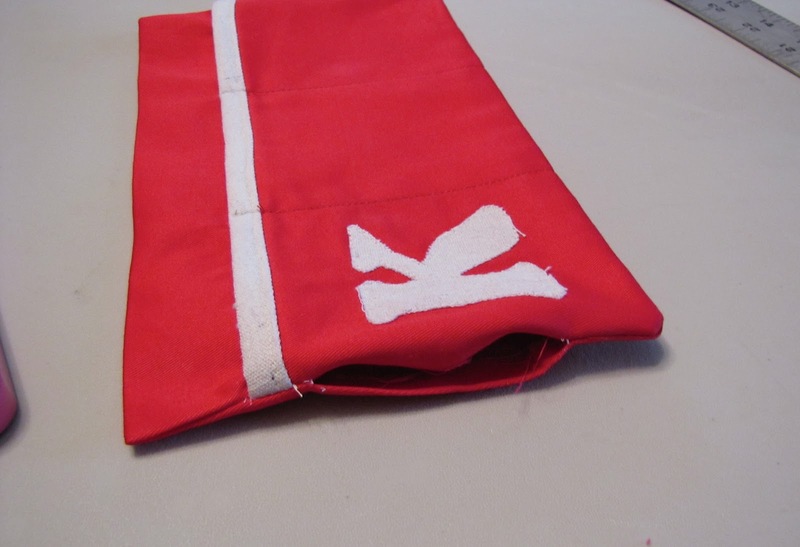 Fold it in half with right sides together and sew close the the edge lengthwise. 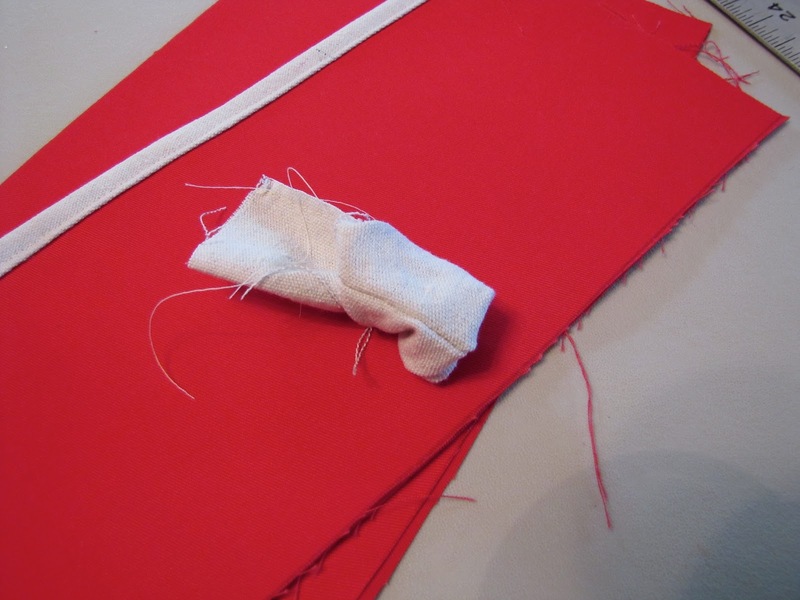 Fold it in half and pin it to the binded piece of fabric about a half inch below the binding. Make sure the raw edge is against the edge of the fabric. Sew in place close to the edge. 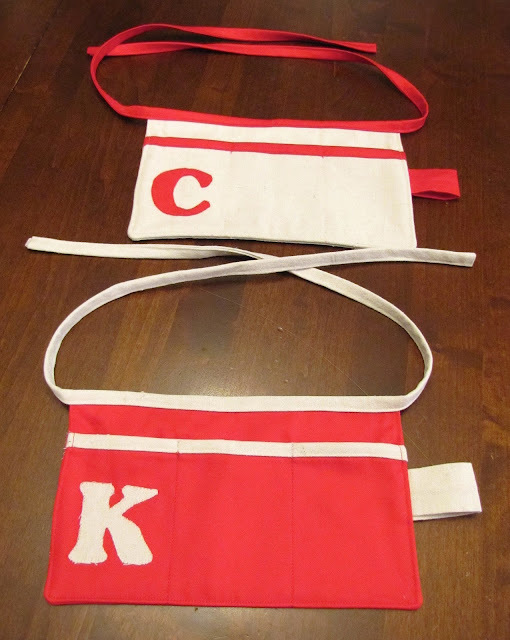 If you want to add an initial with iron-on adhesive now is the time to do it. Need help with iron-on adhesive? See this post. I forgot to take pictures of this next part so please forgive me. You are now going to lay the piece of fabric with the binding on the right side of the larger 13" x 11" piece of fabric that you cut out earlier, lining the edges up with the bottom and sides. 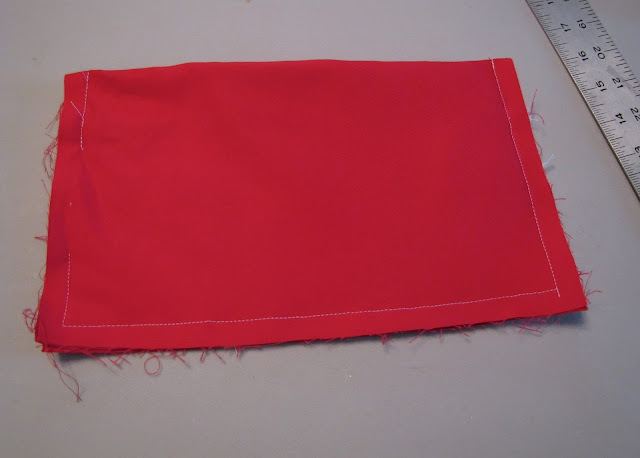 The larger piece of fabric is not to be folded at this time. The sides should line up perfectly since both pieces were cut 11" wide. To create your pockets you will sew lines directly on top of your fabric with the binding, attaching it to the bottom piece fabric. 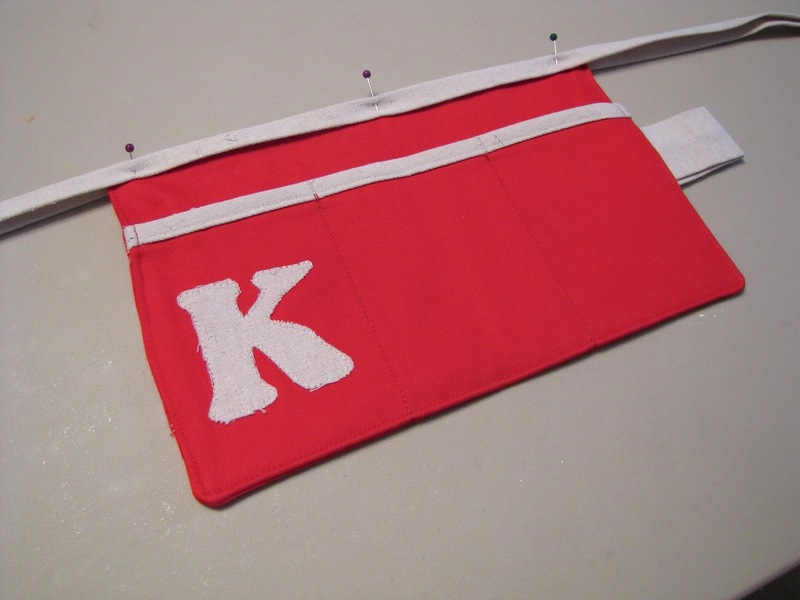 I measured my pockets out first and drew them out with a fabric marker before sewing them. Once the pockets are complete you are going to take the top of the larger piece of fabric and fold it over top of the pockets, lining the edges up with the bottom and sides. So it will look like the photo below. 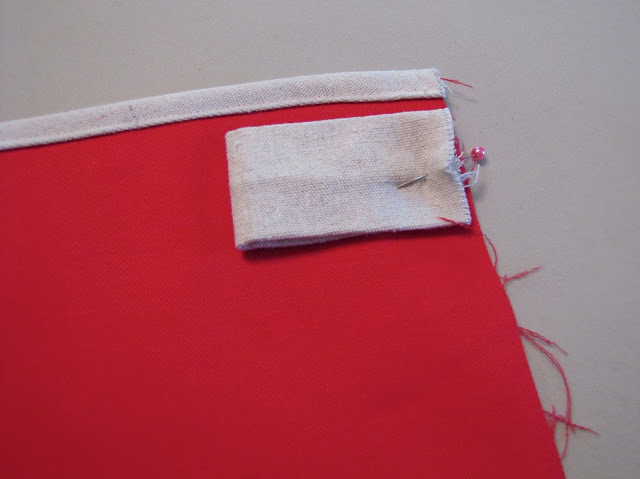 Using a half inch seam allowance you will sew all the way along the edge with the tab, all across the bottom and then about a third of the way up the third side. 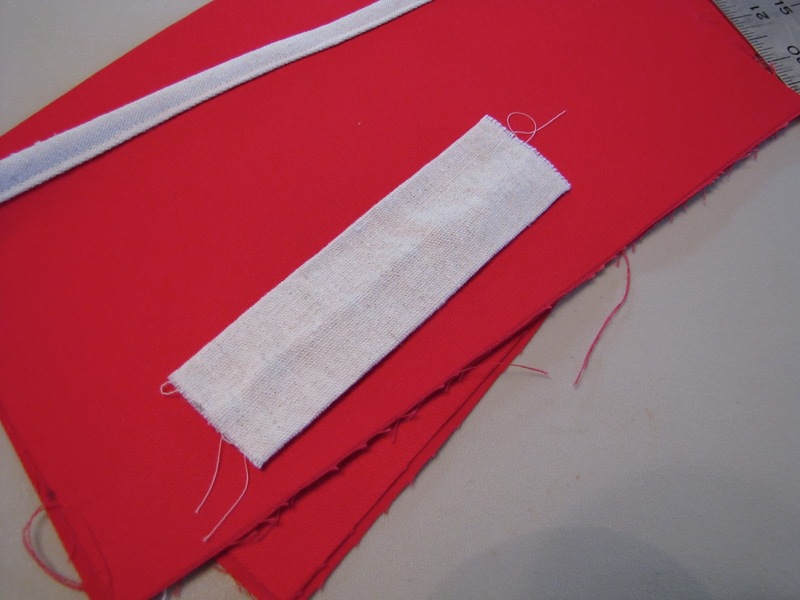 Lift the needle out and start sewing again from the corner of the fabric at the top to about a third of the way down. So you are leaving an opening in the middle to flip it right side out. Clip your corners to reduce bulk. 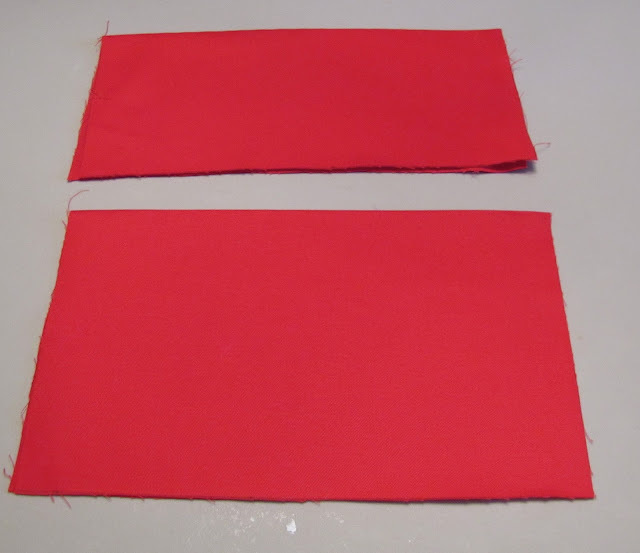 Flip it inside out, push out your corners so they are nice and sharp and iron it flat. I then sewed all around the outside of my tool belt close to the edge to close the opening and give it an overall finished look. 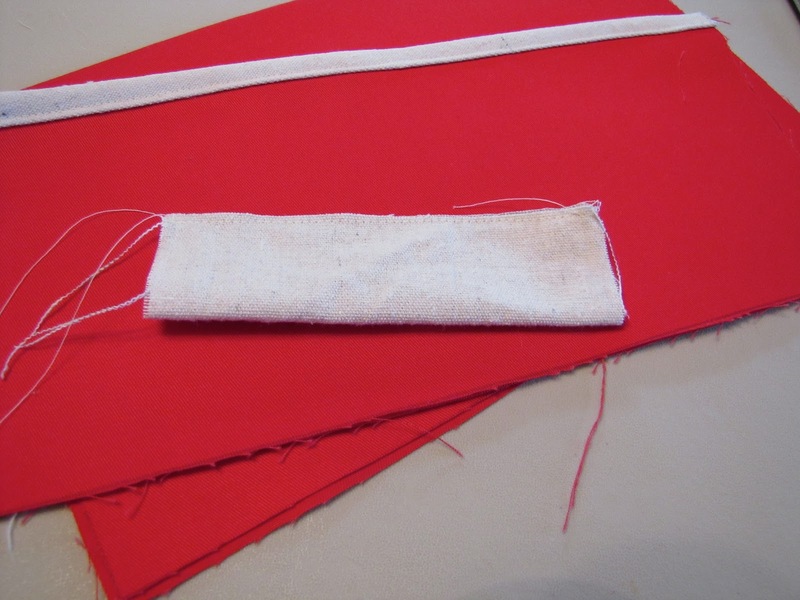 Cut one more piece out of your coordinating canvas 1.5" x 45". Create another piece of binding the same way you did the binding above. Folding it in half and ironing it flat then folding under the seams. 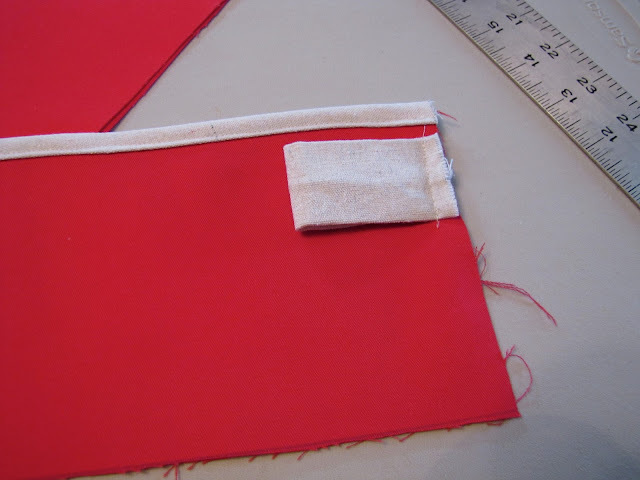 Pin it to the top of the tool belt lining up the centers and making sure the fold goes on either side of the red fabric. Sew it close to the edge. 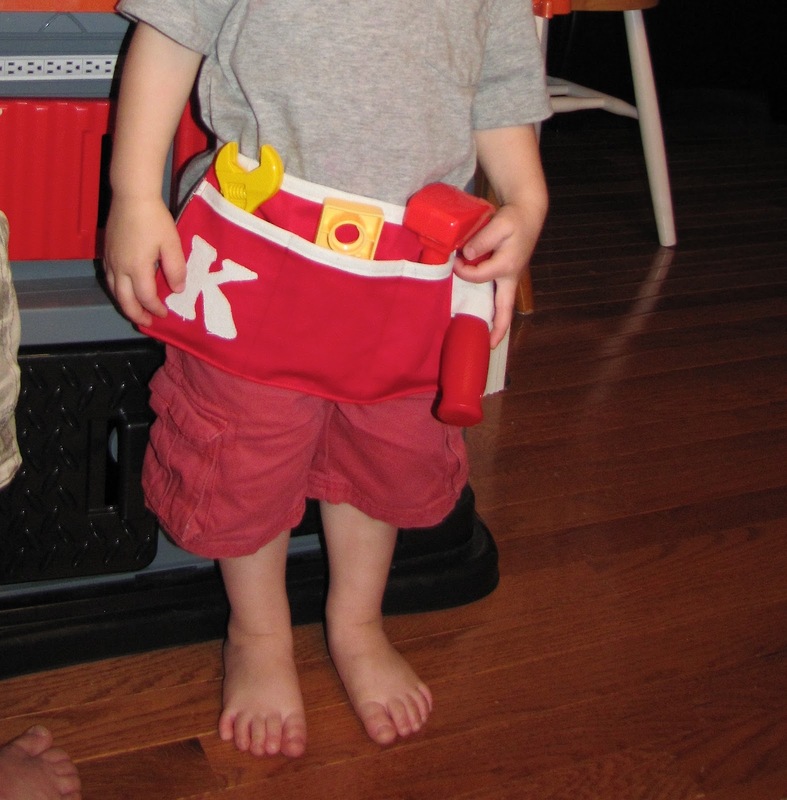 What little handy man doesn't need a tool belt to make his job easier? If you missed their fireman birthday party check it out here. Linking up with a few of these fabulous parties.